Completely renovated in 2018! 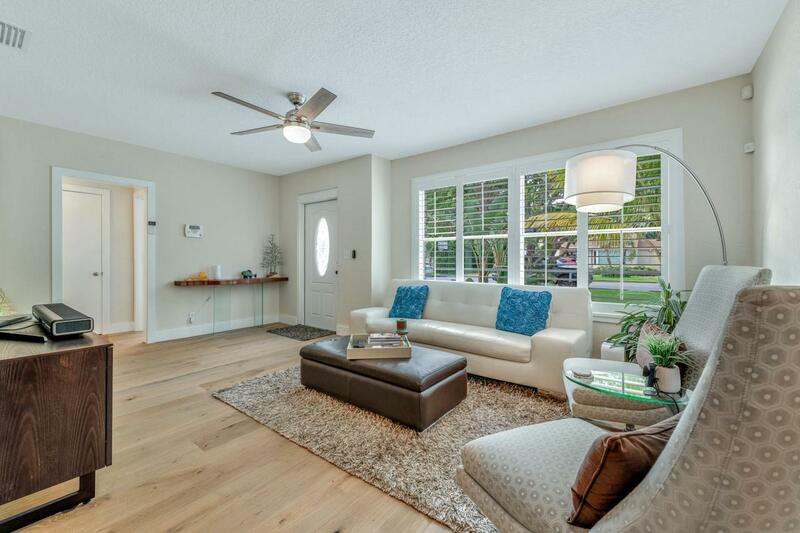 Live in the desirable SoSo district of Downtown WPB, this charming 3 bedroom 2 bath home is move in ready featuring beautiful European oak wood flooring throughout & porcelain tile flooring in the bathrooms. This home boast a large master bedroom with European oak wood accent walls, full en suite and walk-in closet. The split floor plan offers 2 spacious guest bedrooms with built in closets and fully renovated guest bath. Renovated kitchen with granite counter tops,glass tiled backsplash & all new LG stainless steel appliances. Large air conditioned attached laundry/storage room with brand new Samsung W/D. Two new 2018 AC units, new water heater, new electric panel 2012, new roof 2012 plus new 2018 sprinkler system and landscaping.Close to the intracoastal, great dining, shopping & only 10 mins to PBI.